Not sure which size is best for your canvas? Feel free to send us your photo and we will recommend a size! What makes us different than the other companies? 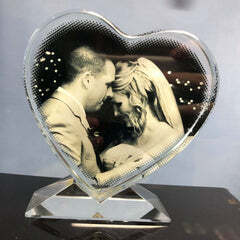 We will enlarge, enhance and sharpen your photo to make it print in the best quality possible for the size you choose. Not only do we make each canvas by hand, from the frame to the design, but we have a few finishing touches that others don't have! Finished off with a Saw-toothed bracket for easy hanging and framing tape hides staples from the back of the canvas. PICTURE PHOTO CANVAS - ORDER TODAY, COLLECT TODAY!